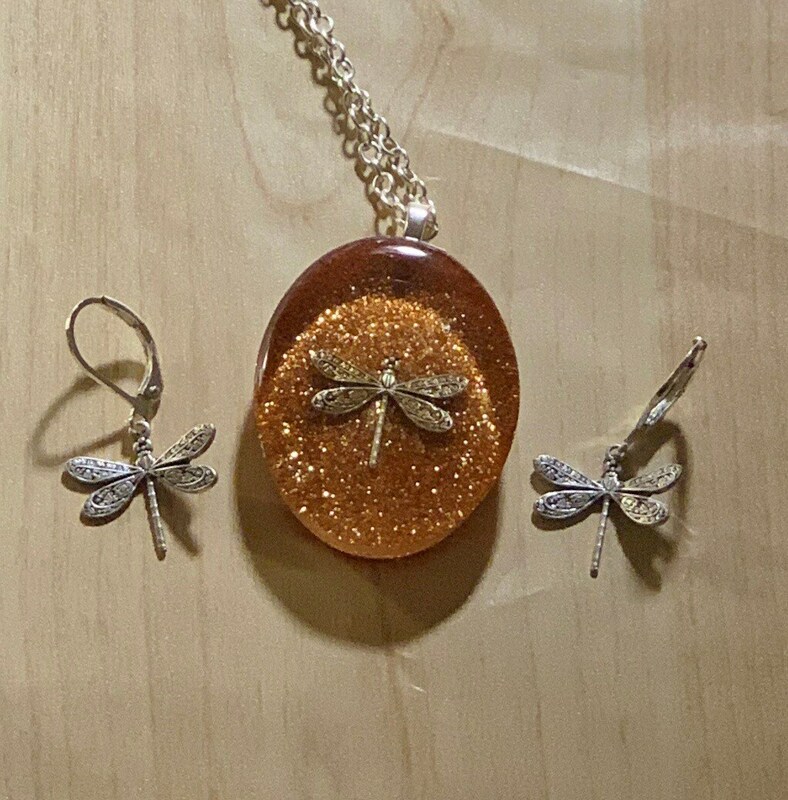 Dragonfly in Amber colored resin. 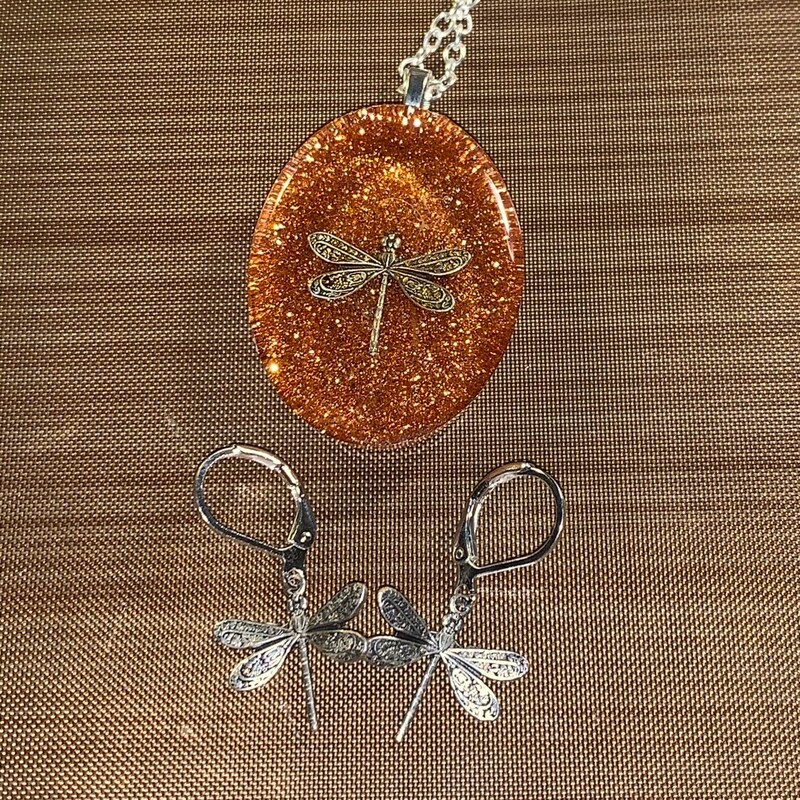 One of a kind Large Pendants made with amber colored resin with happy dragonflies suspended in flight. 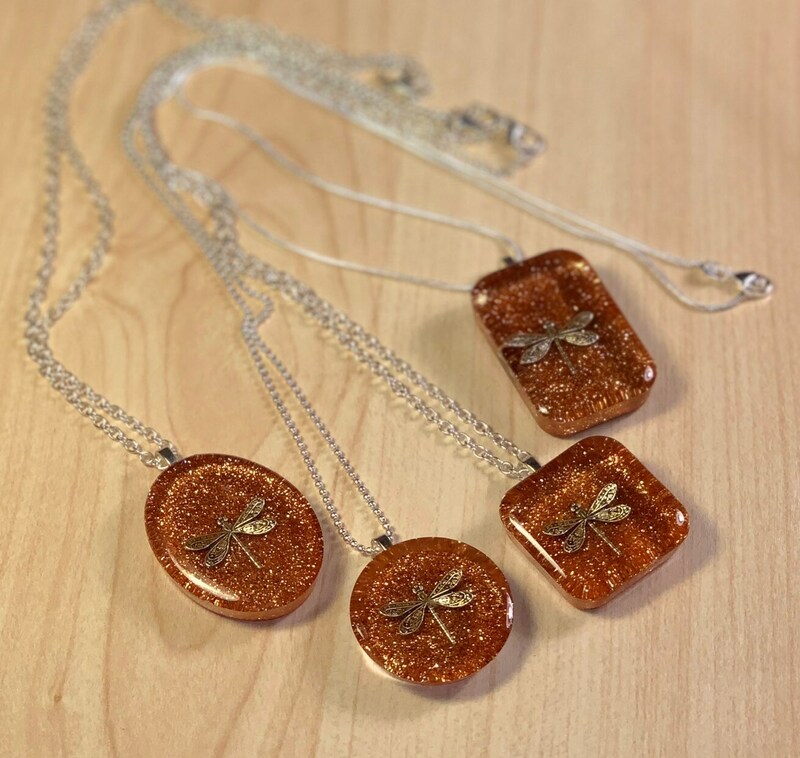 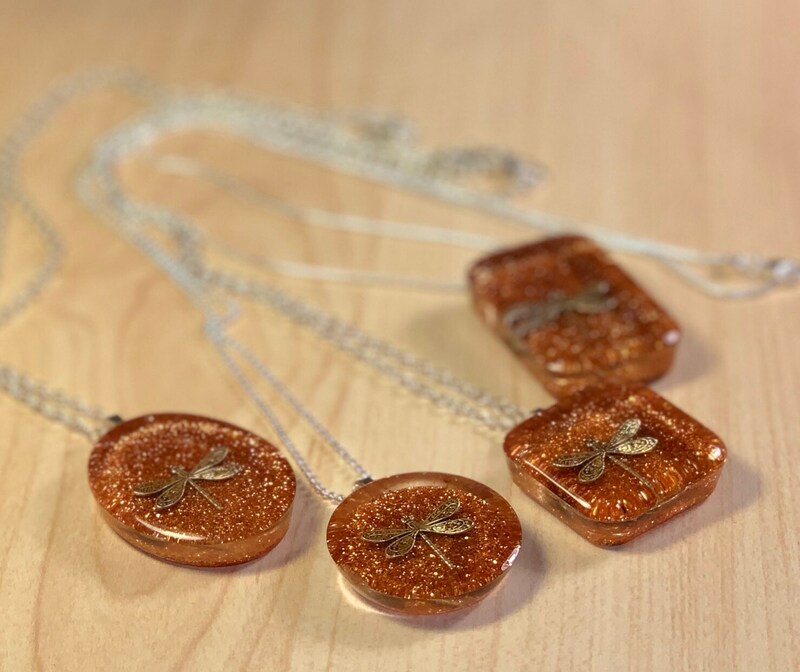 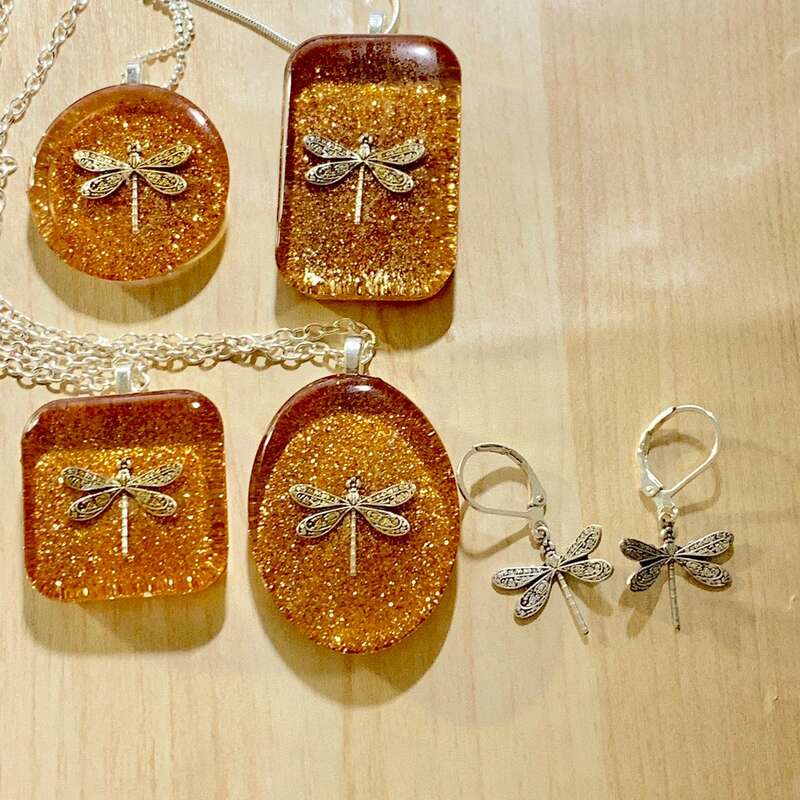 Oval (1.5” tall), Square (1.2"), Round (1.2”), Rectangle (1.5” tall) with a playful dragonfly suspended in amber colored resin. 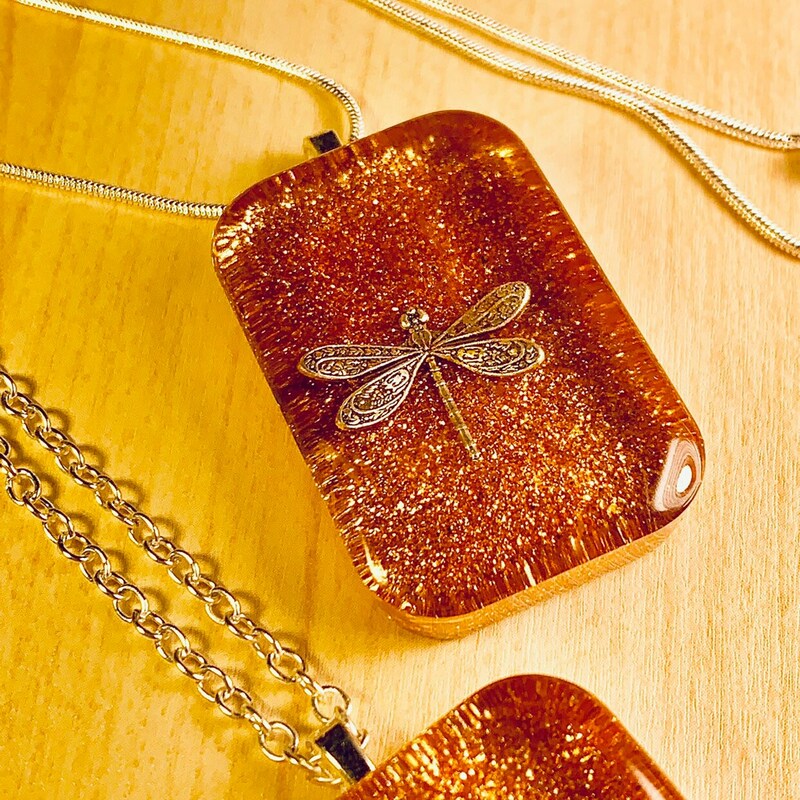 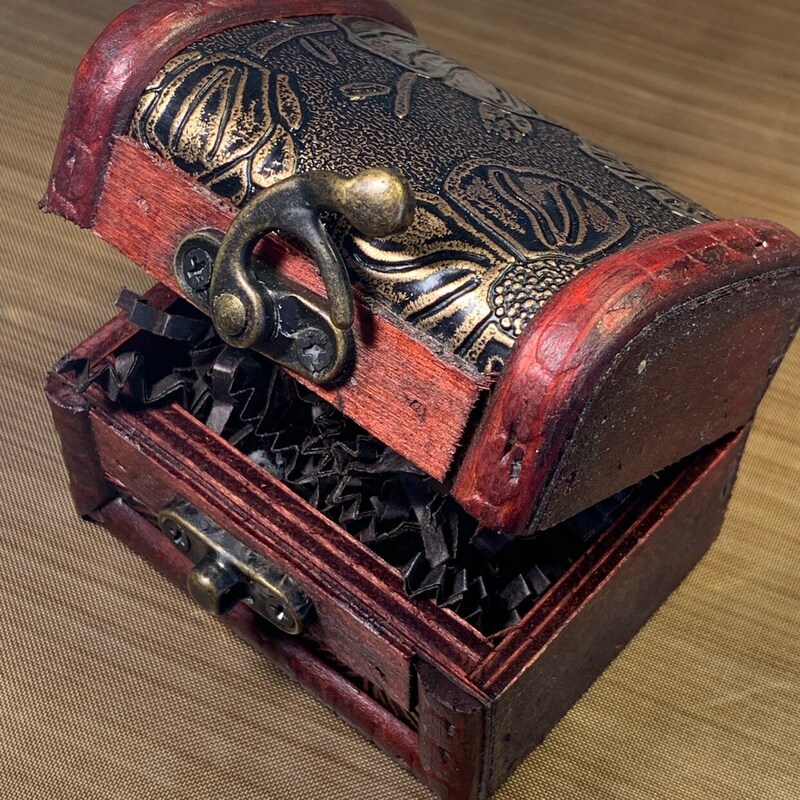 Comes in a small box to give as a gift or to keep for yourself. 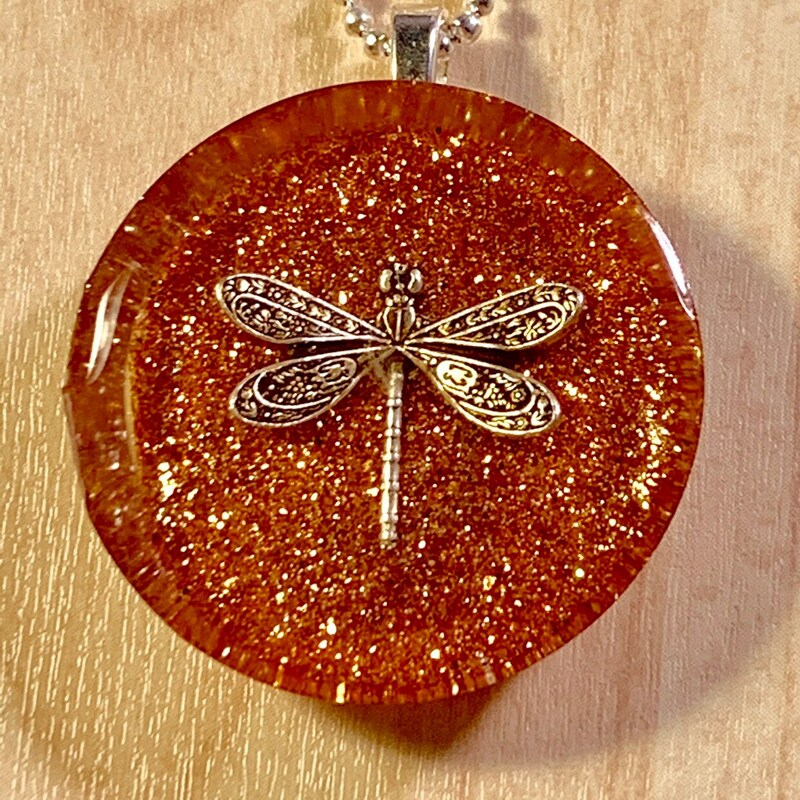 I just love my pendant, it's even prettier than in the picture. 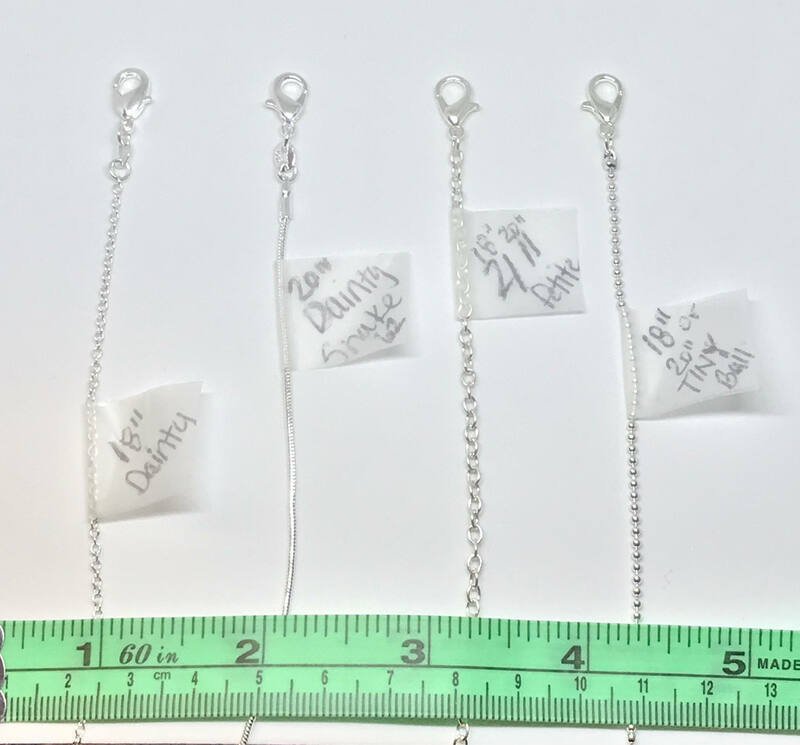 April was a pleasure to work with, she bent over backwards if you have any questions....also she sent s great trinket in my box with my necklace and I just love it. 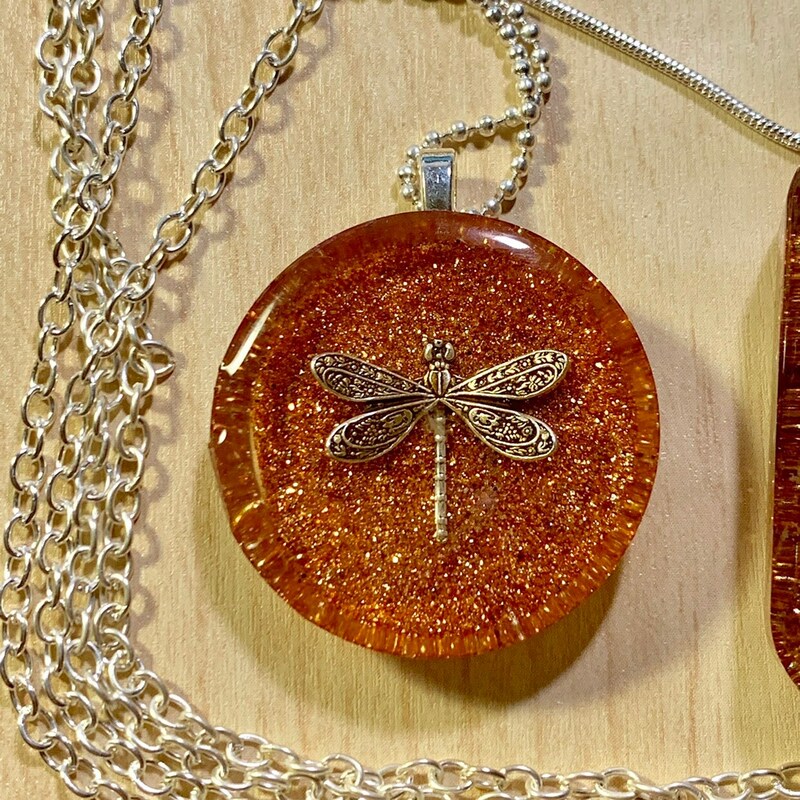 If you love OUTLANDER you will love April's work, I'm wearing my necklace now.